Keep your process temperature under control with a SMC Thermo Chiller. Suitable for a wide-range of biopharmaceutical process applications. From bench top solutions to full-scale plant operations, we offer a range of chillers to cover from 200W to 60kW. Ensuring temperature is controlled is vital to ensure the precision and reliability of your process. 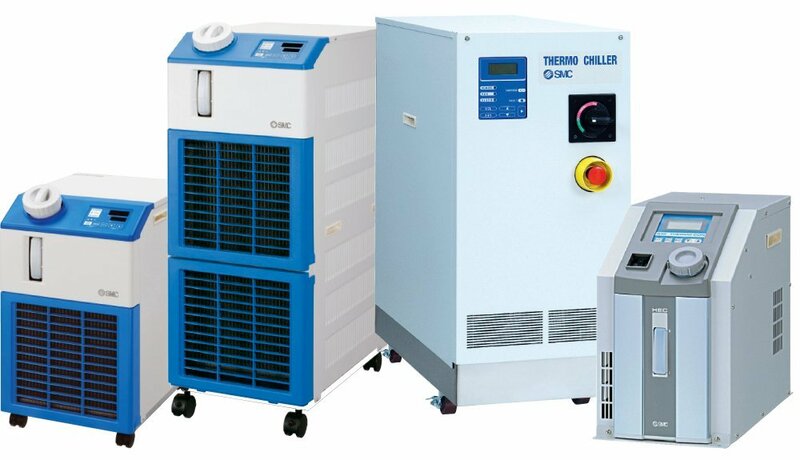 SMC Thermo Chillers provide accurate temperature stability within +/- 0.01°C. Through air cooled, water cooled and peltier type solutions. Giving you a temperature control solution which you can rely on and which could also reduce your energy consumption, leading to running cost savings. To further discuss the SMC Thermo Chiller range, and how we can help you to find the perfect solution to keep your process under control. Please contact us, or request a callback at a convenient time to suit you.